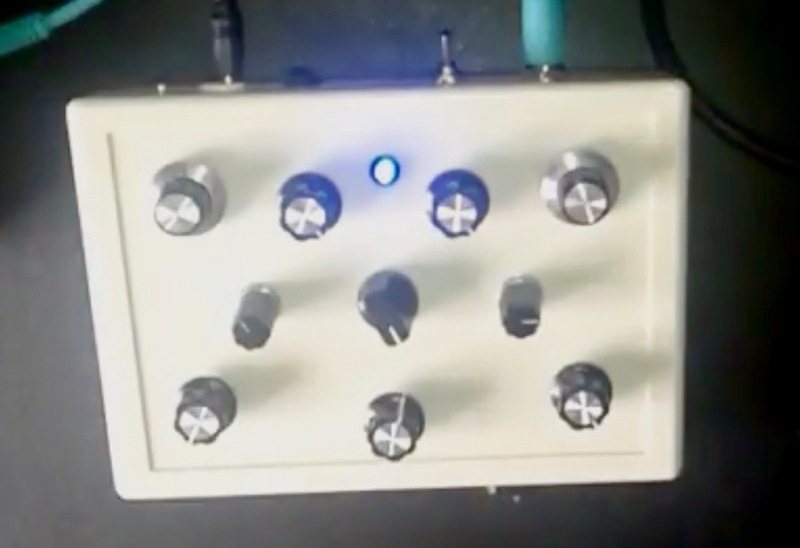 A versatile multi sine waves / drone machine / noise box. It produces two sine waves that modulate among themselves in frequency. It includes two sine wave generators with a range of 4 frequency bands, selectable via a rotary selector, a low pass filter, a modulation intensity control, a noise controlled mode, another drone machine mode. It also includes a body contact point, to modulate both the noise and the sine waves with your touch. 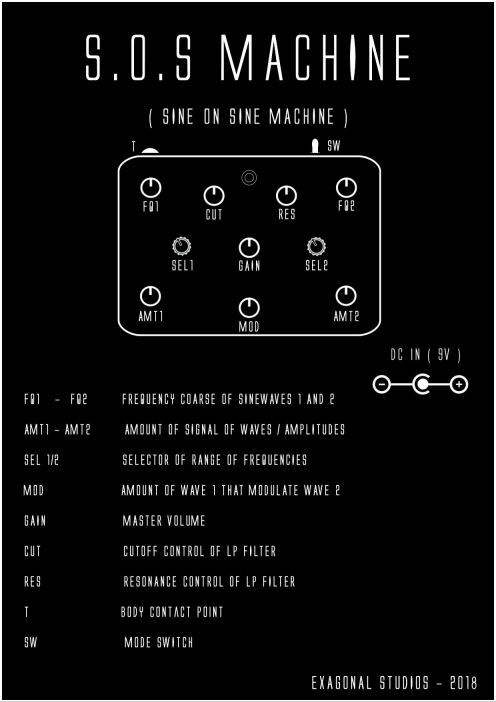 The DRONE MACHINE mode allows us instead to modulate with one of the sine wave the cutoff frequency of the low pass fiter, transforming the generator into a sinusoidal drone machine. Each sinusoidal generator can be controlled in amplitude and frequency.